Rie and corn: a gluten free pasta without dairy or egg, perfect for vegans. 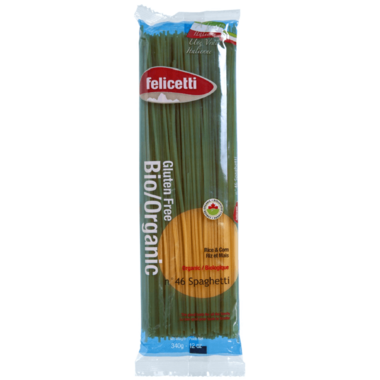 This Felicetti pasta is gluten free, organic, vegan friendly, Kosher and non-GMO. Made in Italy. Ingredients: organic corn flour, organic rice flour, organic sunflower lecithin.